Searching for a Pixie Bob? The Pixie Bob is an exotic-looking cat that bears resemblance to the North American Bobcat. 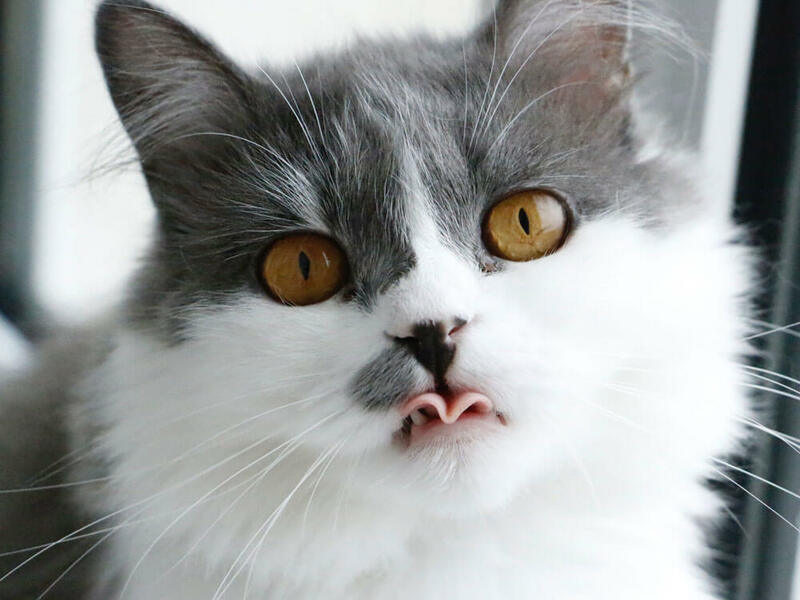 This kitty has dog-like characteristics and likes to be involved with its family’s activities. 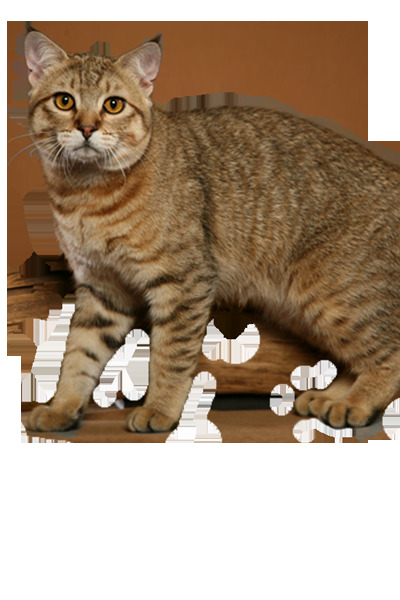 Originating in the US, this polydactyl feline breed is a healthy cat that gets along with everyone. In 1985, a Pacific Coast breeder in the US bought a big barn cat that had a bobtail and extra toes. The breeder, Carol Ann Brewer, thought the feline was rather tall, so she mated him with the wild-looking domestic spotted cat owned by a neighbour. The resulting litter had a female kitten with a spotted coat, which Brewer named Pixie. The said kitten had a distinct look in addition to its bobtail. Brewer then began a breeding programme that involved such cats to produce a similarly wild-looking bobtail cat with extra toes. Four years later, in 1989, Brewer drafted a set of standards for the breed and called the breed Pixie Bob. The International Cat Association (TICA) recognised the breed in 1994 and gave it full Championship status in 1998. Although this feline is gaining more admirers, it is still rare in the UK. The Pixie Bob cat size is around 8–12 lbs. Pixie Bob kittens tend to grow slowly, taking about four years to reach full maturity. It shares a good number of similarities with the North American Bobcat. This big cat has a rather large head with a shape similar to an inverted pear. Its ears have rounded edges and have tufting that tends to be more prominent amongst the long-haired variety. Its medium-sized eyes are deep set, hooded, and may be gold, greenish, or brown. Its long and lean body is punctuated by prominent shoulder blades and has an upward sloping silhouette. Its hips are higher than its shoulders and slopes down to a very short tail. The three physical traits that distinguish the Pixie from other breeds, aside from its wild look, is its shortened yet furry tail. It can range from 1 to 6 inches. The other one is the primordial pouch on its belly, which is lighter than the rest of its body. This trait is usually found in wild cats, lending them more abdominal flexibility so they can consume a large kill effectively. The third and special feature of the Pixie Bob is its polydactyl paws. It can have an extra toe on each paw, enabling this feline to use them like hands. Nearly half of all Pixies have this feature. This kitty’s legs are rather long, with the hind pair being a bit longer than the front ones. The feet are suitably wide, large, and long. The Pixie Bob can come in short- or long-haired variety, with a thick double coat no matter the fur length. The colour ranges from tawny to ruddy brown, with a sprinkling of muted spots adding to its wild look. This cat is low-maintenance on the grooming front. The Pixi Bob is active and energetic. Its fierce appearance belies its friendly nature. It has a doglike personality that is has been called a dog in cat’s disguise. It likes to walk on a lead and will greet its human at the front door. Although the outgoing Pixie Bob likes to be involved in its owner’s activities, it is not very demanding. It may be quite the talkative kitty, but it speaks in a quiet voice and in chitters and chirps. The water-loving Pixie Bob also likes interactive games and enjoys the company of other pets. It gets along with young children and it makes for a good family pet as long as it is kept entertained. The Pixie Bob should be provided with a nutritious diet that fulfils its daily requirements. It should be consistently given the same food following the same feeding times. If there are changes to its diet, those must be done gradually to prevent stomach complications. The serving portions should depend on this breed’s weight, age, and activity level. Its meals must include at least 25 per cent protein and just 5 per cent carbohydrates. The Pixie Bob’s life expectancy ranges from 12–14 years. It has no known genetically influenced health issues. However, its polydactyl paws should be monitored. The estimated price for a well-bred Pixie Bob kitten ranges from £175 to £1,000. Average insurance expenses would cost £12 (basic) or £25 (lifetime) monthly. Food costs may range from £15–£20 each month. For vaccinations, boosters, annual checks, and other veterinary costs, pet care costs may add up to more than £600 each year. A Pixie Bob owner will spend about £40–£60 per month. The insurance costs can also affect this estimate. For its entire lifetime (9–15 years), the expenses can be as low as £4,320 to as high as £10,800. This estimate does not include the initial costs incurred in acquiring this cat. Is a Pixie Bob Right for You? It is active and energetic and needs to be kept busy to keep it balanced and happy. It is great for families as it gets along with everyone, although it can be wary of strangers. Pixie Bobcat For Loving Home.